New York police are investigating a series of three bias crimes perpetrated by a gang of teenagers who are reportedly targeting Jewish people. “When you look at the totality of what we have here, there is a nexus to the Jewish faith in all three,” said NYPD Chief of Detectives Dermot Shea during a press conference, according to ABC 7. Police arrested suspects in connection with the incidents, which they are investigating as hate crimes, after circulating surveillance footage of the suspects. Authorities have not released the suspects’ names as they are minors. The NYPD noted that there has been a recent surge in hate crimes, especially anti-Semitic crimes, in New York. Authorities reported a total of 309 hate crimes committed in New York from January to October, 159 of which were anti-Semitic. 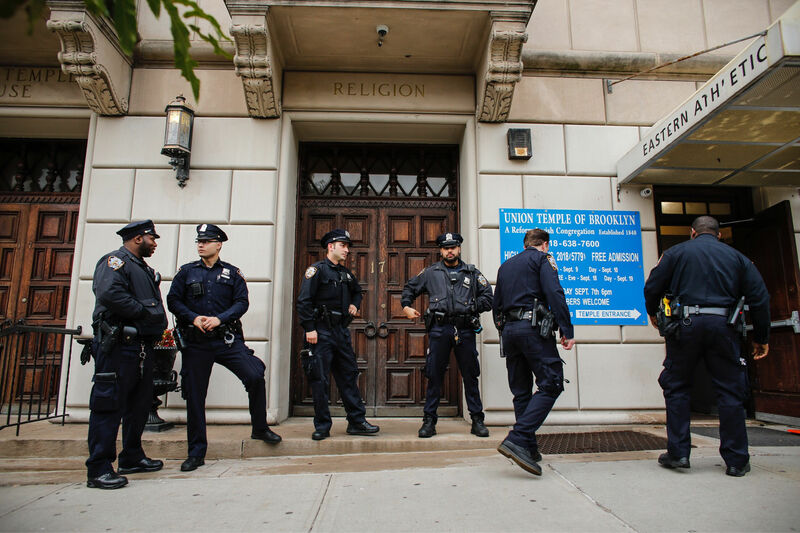 Two days before the teenagers’ reported crimes against Jewish people, officials at a Brooklyn synagogue found threatening, Neo-Nazi graffiti inside their building on Nov. 1. Authorities said the suspect in that case is “described as a male Black, approximately 20-years-old, 5’8,″ 140 lbs, with black hair and last seen wearing a red suit jacket,” according to security footage. NYPD Commissioner James O’Neill said the uptick in anti-Semitic crimes was disturbing, especially in light of the recent Pittsburgh synagogue shooting. “None of it, none of it will ever be tolerated in New York City … everybody in NYC and our nation should pay attention to what happened in Pittsburgh and understand it should never happen in our nation,” O’Neill told ABC.